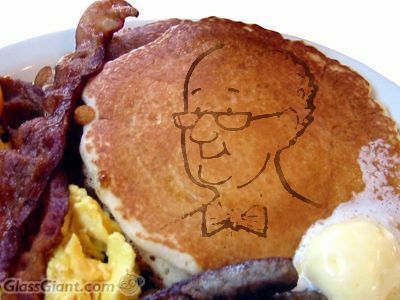 Mr. Hooper on a pancake. . Wallpaper and background images in the Sesame Street club tagged: sesame street mr. hooper pancake. This Sesame Street fan art might contain club sandwich, three decker, triple decker, bacon and eggs, and pancakes.